Nintendo says they don’t compare their games to others, Naughty Dog teases Last of Us Remastered in 60fps and Steam passes 8 million concurrent users! If you've been wondering which wrestler is going to grace the cover of WWE 2K15, you're not going to have to wait much longer. According to a tweet from WWEGames the reveal is happening tonight during RAW. We'll update this story with the announcement when it goes live later tonight, but who do you think it's going to be? Let us know in the comments below. Justin Haywald travels through time with the latest addition to World of Warcraft. Watch as he explores the new zones, updated character models and new additions! Join the chat and let us know if Warlords of Draenor offers enough to bring you back! Blizzard may save their big gaming news for their own personal convention, Blizzcon, but like every year, San Diego Comic-Con is the place where the company reveals their new game-based toys and figurines. Straight from Blizzard itself, here are the item descriptions. You can click on any image to see a larger version. Back from her vacation on Zerus, Kerrigan has got her groove back and gone primal! Primal Kerrigan is an SDCC-exclusive variant of her Pop! Vinyl figure and is limited to 2,500. He's cute. He's deadly. He's invisible-ish (and so is his box). Blizzard's Cute But Deadly figure line continues with this comical cloaked variant of the not-so-comical Dark Templar (limited to 2,500 pieces). Trapped among the rainbows and unicorn meadows of Whimsyshire, this Treasure Goblin's gone (adorably) native! Catch one for a lifetime of snuggles . . . or don't and regret it forever. This Whimsyshire variant is limited to 3,500 pieces. Anything you're looking forward to buying first-hand (or from second-hand sellers when they put it up on ebay)? When Nintendo made each Nintendo Network user create a new ID, it was to ensure cross-compatibility between all of their systems. It also had the added advantage of keeping all your purchased content on one account, rather than individual machines. Now, another benefit has come to fruition, with the first cross-buy game for Nintendo platforms set to release on the 3DS and Wii U this July 3rd. There are a few caveats, though; the offer is only available to Europeans and the purchase has to be made on the 3DS in order to get a free Wii U version, not the other way round. Did you miss your chance to get in on the Dead Island: Epidemic beta back in April? Well, now's your chance to finally check out the world's first ZOMBA (Zombie MOBA). GameSpot is giving away a second wave of beta codes to Dead Island: Epidemic, a fast-paced action game where players will duke it out over supply points, using an arsenal of crafted weaponry, a bevy of devastating powers, and good old-fashioned teamwork. Enter your email address below to receive a Steam key while supplies last. These keys do not have any territory restrictions so invite any friend from any where to play! In order to activate this key, you will need to download the Steam client if you haven't already. Call of Duty: Advanced Warfare Dev Hoping for a Modern Warfare-Style "New Era"
The release of Call of Duty 4: Modern Warfare in 2007 was not only a major moment for the series and publisher Activision, but the industry as a whole--it's proven to be one of the most influential games of the last decade. With three years of work going into this year's Call of Duty: Advanced Warfare, the game's developer is hoping to create something similarly special. "We looked back at the history of Call of Duty, and I don't know if you remember when Modern Warfare came out, for those of us in the industry who weren't at Activision at the time, it really blew us away," said Sledgehammer Games co-founder Glen Schofield in an interview with Official Xbox Magazine. "To us it really ushered in a new era of Call of Duty," he continued. "It puts you in the shoes of a Tier 1 soldier, in the Middle East--it was realistic, the sound, the audio, the look of it was just unbelievable. We wanted to try and capture that same feeling in this game." It's easy to forget now, both because it's been the better part of a decade and because Call of Duty has been such a huge part of the industry ever since, but prior to Call of Duty 4, the series wasn't the big deal it is today. Of the series' early games, Call of Duty 2, in particular, was acclaimed for its take on World War II, but back then it was Halo that was still viewed by many as the predominant first-person shooter on the market. That all changed with Call of Duty 4, which moved the series to the modern day and established the franchise as one of the biggest the games industry has ever seen. Schofield is arguably putting a lot of pressure on Advanced Warfare by bringing up what some feel remains Call of Duty's best game, but fellow Sledgehammer co-founder Michael Condrey also has high expectations, as he said, "[W]e're really trying to usher in something pretty special here." "The full three years gave us the time to develop the technology, to focus on the creative, to do the research, to really maximize the experience, and again to push this new generation, to get every last ounce of horsepower out of it, and not to be in any way constrained by tech or in terms of ideas, by the previous generation of hardware," Condrey said. This is the first time a new generation of consoles has come along since Call of Duty hit it big, as well as the first time Sledgehammer has led development on a title. Last year's Call of Duty: Ghosts was released on Xbox One and PlayStation 4 in addition to last-generation systems, but Advanced Warfare is being built with the former more firmly in mind. Its developer hasn't shied away from building up excitement for the game prior to this, either; we know it wants a Red Wedding-level moment, and, ahead of the event earlier this month, Sledgehammer said Advance Warfare's showing at E3 would be "incredibly special." Whether or not you feel it lived up to that claim, what we have seen does look promising, and we know the story (which took more than two years to write) is a point of emphasis. Advance Warfare is scheduled for release on November 4 on Xbox One, PS4, Xbox 360, PlayStation 3, and PC. (The last-gen versions are being made by High Moon Studios.) For more, check out our latest preview. Check out this Beta footage of the hero BlackPaw from the game Orcs Must Die! Unchained. The realm of eSports isn't confined to fighting games, competitive FPSes, and MOBAs anymore. Ubisoft's Just Dance series has joined the Electronic Sports World Cup as the organization's first casual game. Just Dance competition finalists will be chosen during qualifying rounds taking place globally and online between June 24 and September 21. A group of 20 top players will then compete in a final round at Paris Games Week to determine the world's best money-maker-shaker. Awards will be announced soon. Players who would rather cavort in the privacy of their own homes can submit entries for the Electronic Sports World Cup through Just Dance's World Dance Floor mode during qualifying sessions on July 13, July 20, July 27, August 3, August 31, September 7, September 14 and September 21. 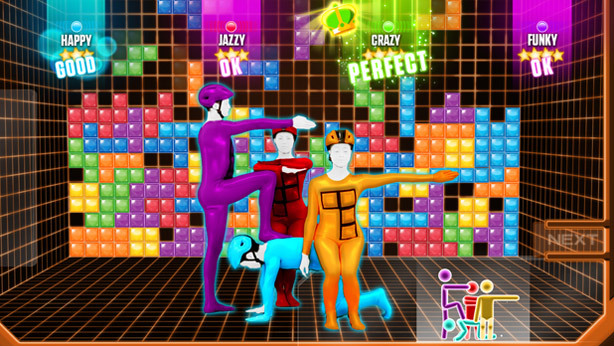 Just Dance is now an eSport originally appeared on Joystiq on Mon, 30 Jun 2014 15:00:00 EST. Please see our terms for use of feeds. As an open-world Bethesda game, Fallout 3 is one of those games that provides you with a huge number of options in terms of how to play it. As it turns out, one of those options is to blow through the whole thing in about the same amount of time as it takes to watch an episode of South Park or cook a piece of chicken. As the above video (via Kotaku) demonstrates, speedrunner BubblesDelFuego managed to complete a run of Fallout 3 in just 23 minutes and 55 seconds. As an "any percentage" run, the only real objective is to make it to the game's ending in as little time as possible. 23:55 is reportedly a world record for Fallout 3. If you watch the full video (it won't take long! ), you'll notice some unusual techniques for getting through the game so quickly. As detailed in this FAQ on Fallout 3 speedruns, these include pushing NPC characters along so that they reach their destinations faster and skipping dialogue by using quick saves and quick loads. In other words, the run you see above will likely look a great deal different from how the game ordinarily plays. Perhaps most notably, at least in my mind, is how effective running in a mostly straight line can be--it sure does make those well-equipped Enclave soldiers look like a bunch of doofuses. You can keep track of the top times for Fallout 3 speedruns in this document. You likely won't see BubblesDelFuego setting many new times, as the description of this world record video reads, "Pretty solid, I won't try to improve unless something big is found, or if the record is taken by some good competition." For more mind-blowing speedruns, check out Dark Souls II being completed in 20 minutes or the original Super Mario Bros. being tackled in less than five. Let us now if you've ever attempted one before in your gaming career in the comments below.